Historical Sketches written by Martin “Marty” Podskoch and illustrated by Sam Glanzman, was published in June 2007. The book contains 150 illustrated panels of Adirondack Guides, hunters, hermits, hotels, writers, artists, photographers, explorers, lumbering, mining, tanneries, railroads, boats, sports, entertainers, and amusement parks. 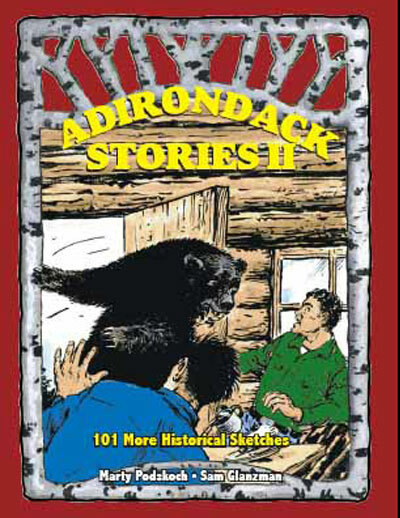 Marty Podskoch and Sam Glanzman released their book, Adirondack Stories II, 101 More Historical Sketches, in June 2009. It is the second book of illustrated “Adirondack Stories” that have appeared in newspapers during the past two years. It contains stories about forestry, mining, sports, hotels and inns, hunting, transportation, disasters, crimes, great camps, summer camps, writers, artists, animals, farming, canals, sports, and amusement parks. 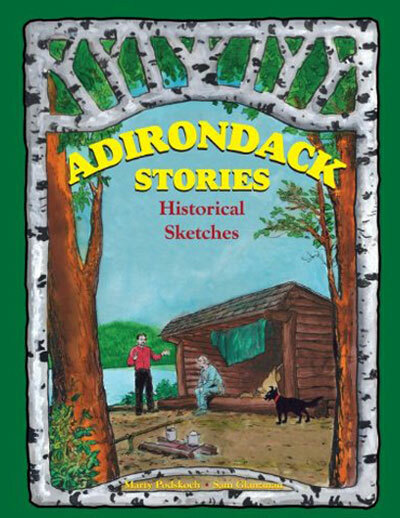 Our first book Adirondack Stories, Historical Sketches, came out in 2007.